From Bristol Take Route 3A north for 2 miles. At the blinking light turn left on West Short Rd and travel 2 miles. Stay straight on Cardigan Mountain Rd (West Shore Rd continues right) for 1 mile. Turn left on North road. After 1 mile turn right onto Washburn Rd then make a quick right onto Mt. Cardigan Rd. Continue 3.5 miles and stay left at the intersection. Follow Shem Valley Road 1.4 miles to Cardigan Lodge. There is plenty of parking. The trailhead is at the far end of the parking lot. From the Cardigan Lodge parking lot continue to the far end and follow the Holt and Manning trails along the broad woods road. At 0.3 miles you reach the Holt / Manning trail split. Follow the Holt trail through a maple, beech and birch forest as it parallels Bailey Brook to your left. After 0.5 miles you cross the brook on a wooden bridge and reach Grand Junction in another 0.3 miles. Turn left onto the Cathedral Forest Trail continuing through the hardwood trees 0.5 miles to the junction with the Clark Trail. 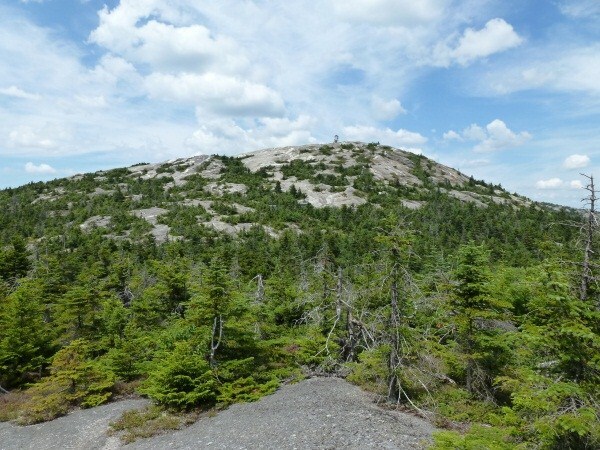 Turn Right and follow the Clark trail as it emerges into red spruce shrubs and rocky terrain between 2500 and 2800 Ft elevation. At roughly 2800 Ft the terrain will transition to fragile vegetation. 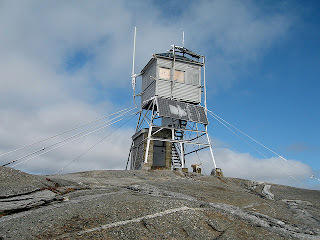 The fire tower summit is not far away. 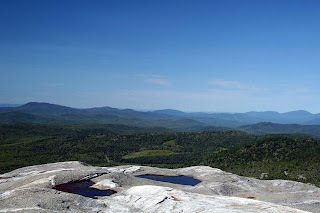 There are panoramic views of central New Hampshire and the surrounding area. The White mountains are rising to the north, Vermont's Green Mountains are to your west and the nearby mountains are Orange Mtn., Kearsarge Mtn., and Ragged Mtn. Instead of returning the path you ascended I recommend descending the Mowglis Trail down northern side of the mountain along Firescrew ridge. The 0.5 mile Mowglis trail descends steeply to the col then follows the ridge which connects Firescrew to Mt. Cardigan. 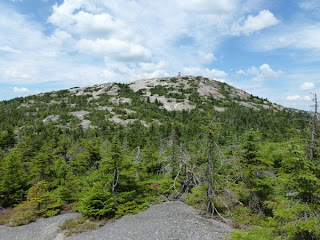 Once you reach the summit of Firescrew turn right onto the Manning trail and descend, steeply in a few places 2.5 miles to the AMC Cardigan Lodge. A 1855 fire severely burned the mountain top destroying all the vegetation resulting in soil erosion leaving the summit completely bare. Alpine vegetation is extremely difficult to grow and extremely fragile near the summit. The AMC requests you stay on the trail at all times. Mt. Cardigan is an extremely popular destination amongst hikers of all ages. it's bare summit provides awesome views of central New Hampshire, Vermont and nearby peaks. It is home of one New Hampshire's few remaining standing Fire towers and is the highest point in the town of Orange. a slope on Firescrew ridge to the north is the highest point in the town of Alexandria.